(Northport, NY- July 2017) – Due to overwhelming demand, the John W. Engeman Theater has added an extra week to the run of GREASE, offering six additional performances. Originally scheduled to close Sunday, August 27th, the final performance will now take place on Sunday, September 3rd at 2pm. Tickets are now on sale for the additional performance dates and can be purchased online at www.EngemanTheater.com, by calling (631) 261-2900, or by visiting the Engeman Theater Box Office at 250 Main Street, Northport. Tickets are $78 on Saturday evenings, $73 all other performances. Visa, MasterCard, Discover and American Express accepted. GREASE plays the following performance schedule: Wednesdays at 8:00pm, Thursdays at 8:00pm, Fridays at 8:00pm, Saturdays at 3:00pm and 8:00pm, and Sundays at 2:00pm and 7:00pm. The production, which kicks off the theater’s 11th season, is based off the 1971 musical by Jim Jacobs and Warren Casey, which inspired the classic 1978 film starring John Travolta and Olivia Newton-John. Audiences are brought back to the late 1950’s at Rydell High, where leather jackets, bobby socks and greasy slicked back hair were the latest fashion. With Paul Stancato directing and Antoinette DiPietropolo managing choreography, the cast lit up the stage last Thursday with dance numbers that made audience members whistle and holler in satisfaction. In “Greased Lightnin’,” actors delivered a colorful performance jumping and jiving and pumping their arms on stage. Kenickie (Chris Stevens) was on lead vocals for the number, and gave an effortless and powerful performance while both singing and dancing. The show doesn’t fall short on laughs either. Gags like Patty Simcox’s (Kaitlin Nelson) comical way of flirting, Sonny LaTierri’s (Casey Shane) failed attempt to make moves on the ladies, or Roger (Chris Collins-Pisano) and Jan’s (Hannah Slabaugh) hysterical rendition in “Mooning,” keep the laughs coming. With that, the production touches on the pressures and stressors of being a high school teen in “There Are Worse Things I Could Do,” performed by Betty Rizzo (Madeleine Barker). Rizzo delivers an intense performance and captivates audiences with powerful vocals as a teen faced with a difficult situation. Audience member Laurel Breen, of Sea Cliff, said after the show that was her favorite scene of the night. When preparing for the role as Danny, Wolf said it involved having his own interpretation of the character and getting down to the basics of the script. He added that he is having the time of his life playing the iconic role. Productions of “Grease” at The John W. Engeman Theater (250 Main St., Northport) are Wednesdays, Thursdays and Fridays at 8 p.m.; Saturdays at 3 p.m. and 8 p.m.; and Sundays at 2 p.m. and 7 p.m. Tickets ($73-$78) are available at the box office or Engemantheater.com. “Grease,” the 1950’s rock and roll musical is back and slick as ever at the John W. Engeman Theater in Northport. Expertly directed by Paul Stancato and brilliantly choreographed by Antoinette DiPietropolo, this production of “Grease” combines all of the magical moments from the original 1972 Broadway production as well as the one of the most successful Hollywood movie musicals ever. Danny, Sandy, Frenchie, Kenickie and the whole gang from Rydell High School are alive and well on stage and seem to be having the time of their lives! Lead by the outstanding Broadway star Liana Hunt as Sandy and regional favorite Sam Wolf as Danny, “Grease” takes us back to a much simpler time when poodle skirts, hula hoops, and drive-in movies were all the rage. We head back to high school in 1959 with a great gang of greasers known as the T-Birds and a troop of no-nonsense young ladies who call themselves the Pink Ladies. Despite growing pains, peer pressure, on-again off-again romances, and typical teenage angst, the kids make it through their senior year at Rydell High and everything turns out a rama lama ding dong. Each cast member has the opportunity to shine as they sing and dance across the Engeman stage and into our retro hearts. Zach Erhardt as Doody has a terrific voice and adds an impressive falsetto to his song “Those Magic Changes.” Laura Helm is wonderful as Marty as she dreams of Freddy her love. Chris Stevens is a sensational Kenickie and Madeleine Barker is a perfect Betty Rizzo. Chris Collins-Pisano as Roger and Hannah Slabaugh as Jan are great fun. Tim Falter is in fine vocal form as Teen Angel/Vince Fontaine as well as Robert Serrano as Johnny Casino. Comic relief is provided by the delightful Sari Alexander as Frenchie and charming Casey Shane as Sonny. Rounding out the multitalented cast are Tracy Bidleman as a superior Miss Lynch, Kaitlin Nelson as high achiever Patty Simcox, Tim Russell as nerdy but sweet Eugene Florczyk, and dance sensation Katherine Margo Brown as Cha-Cha. The live band is conducted by Alex Bart and there is nothing like live music! “Summer Nights,” “Greased Lightnin’,” “You’re The One That I Want,” “We Go Together,” and so many other gems from the ever popular “Grease” score have all become standard hits. “Grease” was the word on Broadway in 1972 and will always be successful in every future production. The show is a genuine slice of Americana and the gang at the Engeman certainly did America proud! Another public hearing has been called for this coming Tuesday, July 18th at 6:00pm, after which the trustees will vote on the proposed zoning changes that would allow hotels within the Northport Village limits. 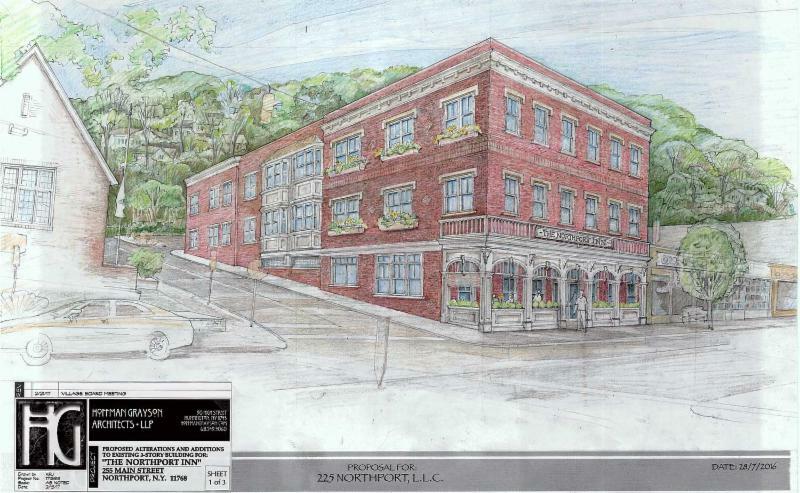 If these changes are approved, we will be able to move forward with our plans to convert the current structure at 225 Main Street into a beautiful, first-class inn and restaurant, which we believe would be a great benefit to both the economy and the residents of the Village of Northport. Additionally, we plan to renovate and expand the current two onsite parking lots that sit directly behind the building at 225 Main Street. Once completed, the two lots will contain a total of 54 onsite parking spaces. In order for this project to move forward, we need to garner as much public support as we can, particularly from Village residents. We hope you can join us and voice your input for the project on Tuesday, July 18th at Northport Village Hall, 224 Main Street, where we will be able to address any questions or concerns you might have. If you have any questions prior to the hearing, please feel free to contact me directly at koneill@engemantheater.com. The hearing will begin at 6:00pm, so we suggest you arrive no later than 5:45pm. We are so grateful for the feedback we’ve received since this project was first announced and for your continued support of the theater. We hope to see you on Tuesday. Please forward this to anyone you think would be interested in learning more about this project. 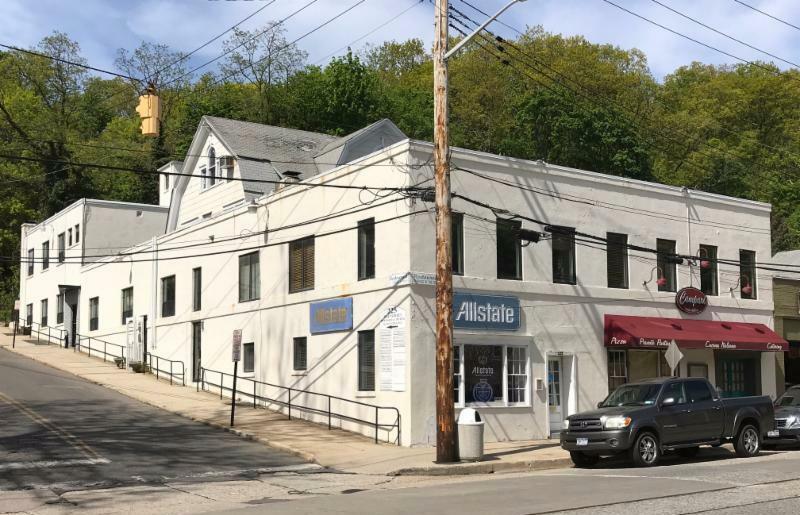 Northport officials could vote as soon as Tuesday on a resolution to allow a proposed hotel project to move forward in the village, officials said. Trustees will hold a second public hearing that day on proposed zoning changes to make hotels a permitted use within village limits. The current code does not include language for hotels in Northport. Deputy Mayor Henry Tobin said trustees could vote after the hearing Tuesday or hold the issue for further consideration, depending on public feedback and board discussion about the proposal. Kevin J. O’Neill and Richard T. Dolce, owners of the John W. Engeman Theater, purchased a three-story building across Main Street from the venue with the goal of converting it into an upscale inn. The first public hearing in May showed overwhelming public support for the project, with many residents saying a new hotel would fill an unmet need in Northport. If village officials pass the zoning changes, O’Neill and Dolce would still need to go through standard permit and project approvals before they could break ground. The project would include a restaurant on the street level, about 24 rooms on the upper two floors and a 54-space parking lot. O’Neill said the partners have spent $150,000 on planning, design and legal costs for the proposed hotel. He said if all necessary approvals are obtained, work could start this fall and be completed in 12 to 14 months. He said their goal is to work with the community on any concerns — including parking, which was the biggest issue raised among a few opponents at the initial public hearing. Tuesday’s public hearing will be at 6:00 p.m. in Village Hall, 224 Main St.
Move over Olivia Newton John. Grease opened at the John W. Engeman Theater at Northport last week and Liana Hunt is a blockbuster as Sandy D. in this musical classic journey with the Rydell High School class of 1959. Ms. Hunt is a veteran of the Engeman stage, having played here two shows ago as the lead female Emma in Jekyll & Hyde. She was terrific as Emma, but Sandy Dumbrowski in Grease is a perfect role for Ms. Hunt. When she hits the stage in the closing scene as a transformed bad girl in leather, Ms. Hunt exudes the sexiness the role demands, but it is her voice that steals the show. In the spotlight she shines, an actress who can sing as well as any other who has come to the Northport theater, and that’s saying something. She has performed in Newsies and Mamma Mia! on Broadway, and as Sandy D at the Engeman she delivers on Main Street a Broadway performance. A 15-voice chorus singing “Alma Mater” starts the show off, then the classics start rolling, “Grease is the Word,” followed by “Summer Nights,” the introduction of Sandy D. and her crush Danny Zuko, played by Sam Wolf, another Engeman veteran who performed as Riff in West Side Story. Everyone knows this one – “Tell me more, tell me more…” – and the Engeman version is as Grease as it gets. There are also some great treats in this show. Laura Helm’s version of Marty in “Freddy My Love” is excellent and the full company of T-Birds and Pink Ladies in “We Go Together” is perfect. Also, Zach Erhardt as Doody in his performance on the acoustic guitar of “Those Magic Changes” – “What’s that playing on the radio…” another one of those songs everyone knows when they hear it – is terrific. Grease is a story line that we all know, and the Engeman cast is talented and fun to watch. Their versions of the classics “Shakin’ at the High School Hop” and “Born to Hand-Jive” is fast, furious and fun. And, “You’re the One That I Want” – another classic everyone knows when they hear it: “I’ve got chills, they’re multiplying…” – is delivered as a great climax to the show. But, Ms. Hunt as Sandy D makes Grease a must see at the Engeman Theater. Her Act II performance of the classic “Hopelessly Devoted to You” is the highlight of the show. Get tickets to this one, because they will likely sell out. If Rydell High’s class of 1959 were to hold a reunion this summer, it would celebrate the 58th year since graduation. But judging from the IQ exhibited in “Grease,” the ever-popular rock-and-doo-wop musical, we’re not sure how many classmates could count that high, never mind collect a diploma. The John W. Engeman Theater, named for the East Northport Army officer killed in the line of duty in Iraq in 2006, opens its [11th] season with the 1971 musical that inspired the hit film version starring Olivia Newton-John and John Travolta. In “Grease,” there’s no hint of a worldview beyond high school, which no doubt accounts for its escapist appeal. On the first day of school, Sandy, a new girl at Rydell, gushes about a boy she met at the beach. In front of his black-leather-jacketed T-Bird pals, Danny (said boy) won’t admit he’s sweet on any girl. Meanwhile, the Pink Ladies clique, led by Rizzo, makes an outcast of Sandy because she doesn’t smoke or drink or wear skintight outfits. She’s derided as the squeaky-clean movie star (“Look at Me, I’m Sandra Dee”). Played with a daring chip on her shoulder by Madeleine Barker, Rizzo fiercely changes her tune on “There Are Worse Things I Could Do” when she finds that her “friend” is late. The T-Birds — including Wolf (a young Marlon Brando look-alike) and Chris Stevens as Rizzo’s boyfriend — sing and dance energetically. But they’d only pass for high schoolers if they’d flunked 10 grades. Heavily made-up, the women fare better as teens, among them Laura Helm as the vamp in the hand-jive contest (athletic choreography by Antoinette DiPietropolo). Alec Bart’s band rocks steady to the final note of “We Go Together.” Stephen Dobay’s set design catches us in the headlights of “Greased Lightnin’,” the drive-in-movie centerpiece. Dumb jokes aside, sometimes it’s fun — even therapeutic — to park your mind for a couple of hours. “Grease” greases the way.